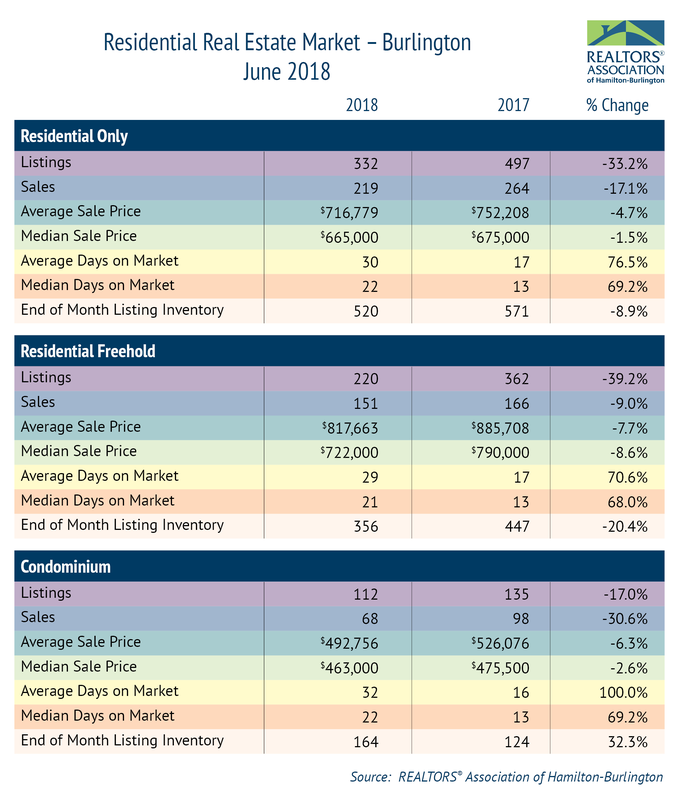 All property listings were 19 per cent lower than the same month last year, but 1.1 per cent higher than the 10-year average. 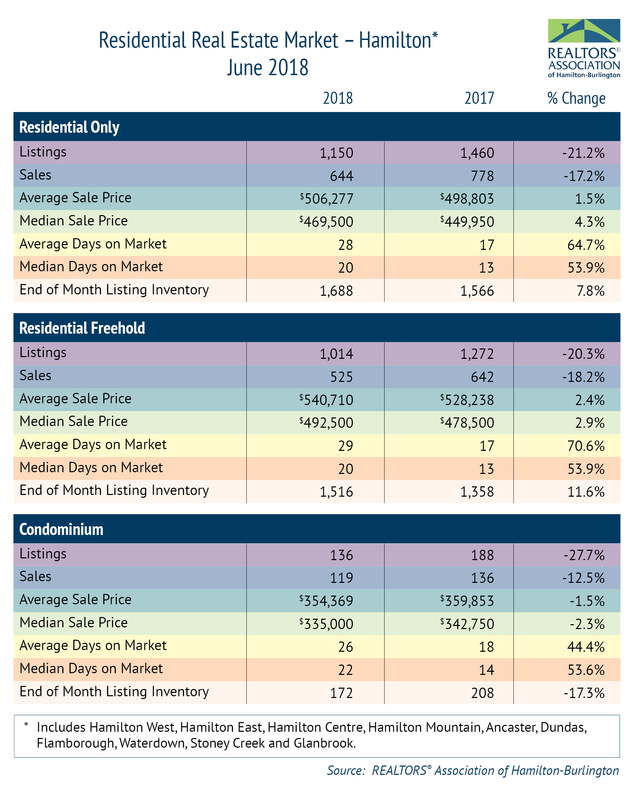 Residential sales were 13.7 per cent lower than June of last year, with residential freehold sales 13.3 per cent lower and condominium sales 15.6 per cent lower than the same month last year. 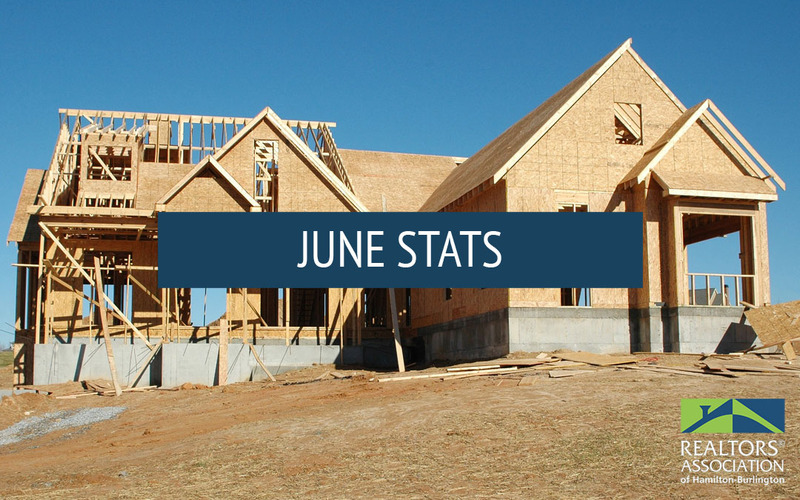 Although the average residential sale price for June 2018 is lower compared to June 2017, prices have made healthy gains over the past five and 10 years. 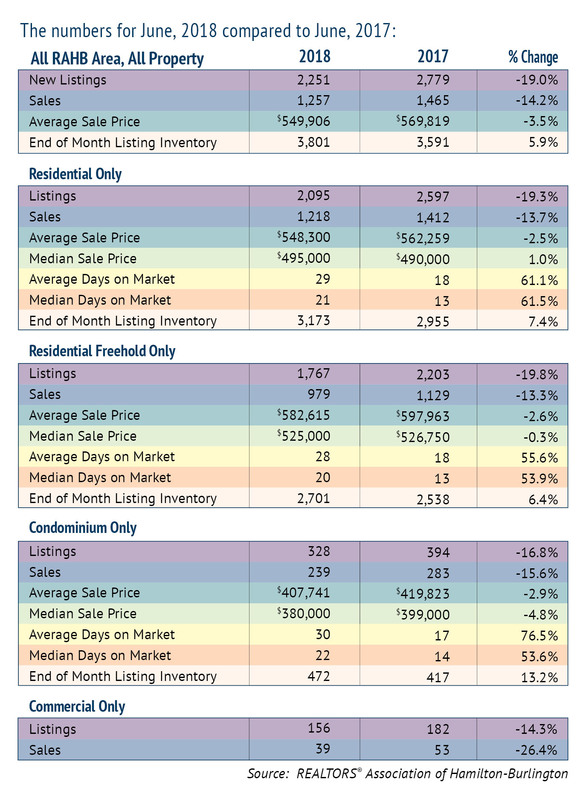 There has been an increase in sales in some areas of our market, such as Hamilton West, Dundas, Grimsby and Dunnville. 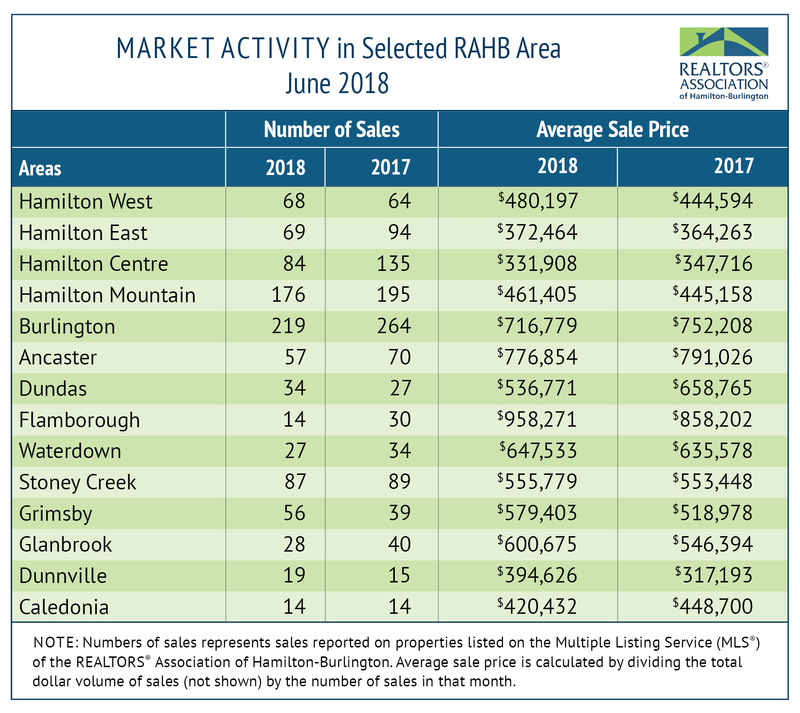 Some areas which were particularly active over the last few years, such as Hamilton East, Hamilton Centre and Burlington, are still experiencing fewer sales.